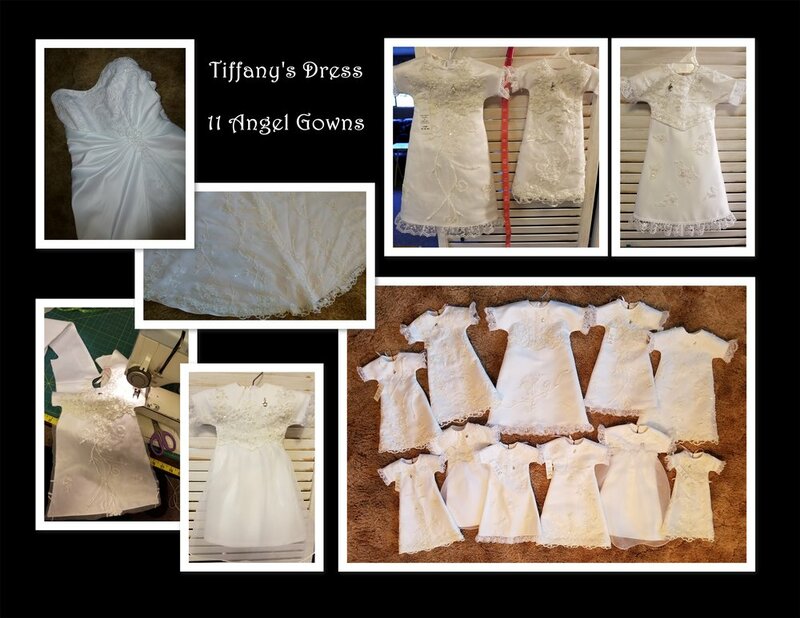 Julia’s Joy provides handmade Angel Gowns & Rompers for little ones age 20 weeks gestation, on up to 9 months of age. Every baby deserves the dignity to be dressed beautifully in something their size – for the purpose of precious photos, burial, and for parents to keep in cases of cremation. Julia Rose was Evan's older sister, miscarried at 17 weeks. It's in her honor that Gramma Vicki sews these outfits - from donated wedding gowns and other special occasion dresses. They are donated upon request, and available by emailing evansembrace@gmail.com. We are also pleased to be partnered with The TEARS Foundation based in Puyallup, WA, supplying their heartbreaking continual need of Angel Outfits. 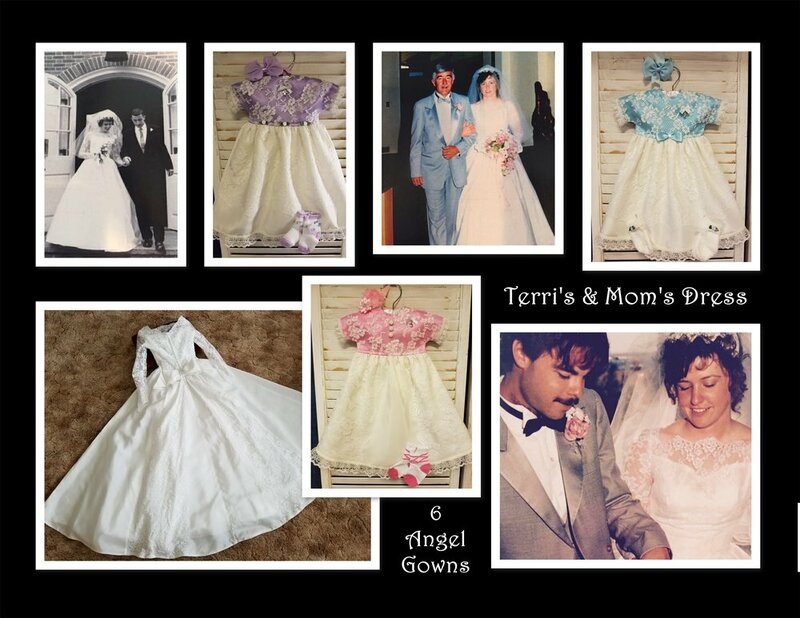 Please enjoy the Angel Gowns and Rompers slideshow gallery below. We are grateful for the many wedding & bridesmaid dress donations. Check back often for more photo collages. Also, click here for Evan's Embrace Facebook albums!